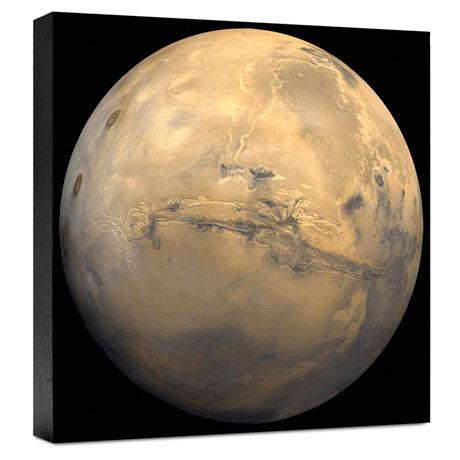 Mars is the fourth planet from the Sun and the seventh largest. In an amateur telescope Mars varies greatly depending on its orbital relationship with Earth. When it is close, it is easy to see a white polar cap and dark features on the lower latitudes. Mars has two very small moons which are very close to the surface of the planet. Their names are Phobos and Deimos (Fear and Terror). 12" x 12". Made in USA. Allow 2-3 weeks. No gift box or rush delivery. Item can only be shipped within the Continental US.